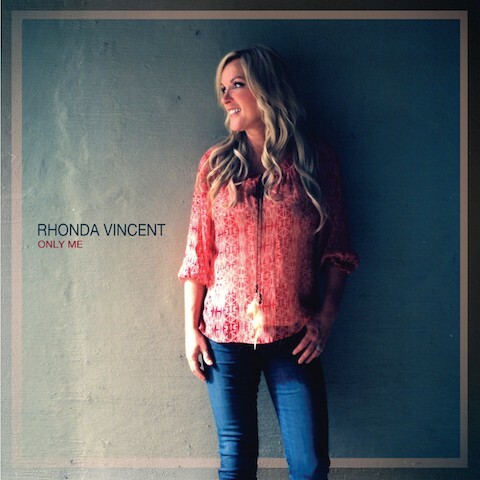 Rhonda Vincent – the fiery vocalist, multi-instrumentalist and songwriter dubbed “the new queen of bluegrass” by the Wall Street Journal – is set to release her new two-disc album Only Me on 28th January, 2014. In addition to receiving an unprecedented seven consecutive “Female Vocalist of the Year” awards from the International Bluegrass Music Association (IBMA), being named IBMA’s 2001 “Entertainer of the Year,” and being the co-author of the 2004 IBMA “Song of the Year,” Vincent was nominated for a 2006 Grammy® award for “Best Bluegrass Album” for Ragin’ Live, as well as a double nomination in 2007 for “Best Bluegrass Album” for All American Bluegrass Girl, along with “Best Country Collaboration with Vocals” for Midnight Angel featuring Bobby Osborne. When Rhonda Vincent opens her mouth, it’s great… whether she’s singing country or bluegrass. This collection of songs on “Only Me” is incredible. God gave Rhonda an unbelievable voice and I am so thankful that we get to enjoy it. I love her like a sister and enjoy her music as her biggest fan – Dolly Parton.